KIGALI – Amnesty International, a global human rights body has in their report protested actions by Rwandan Police leadership to jail and also kill Congolese refugees. “Police officers who shot at Congolese refugees protesting cuts to the subsistence allowances and support they received must be investigated and held to account, Amnesty International said, one year after at least 11 refugees were killed in Karongi town and Kiziba refugee camp in western Rwanda. While no official investigation has been published into the killing of protesters, at least 63 refugees are facing charges in connection with the protests which range from ‘participating in and organizing illegal demonstrations’ to ‘spreading false information with intent to create a hostile international opinion against the Rwandan government’. They are also charged with ‘violence against public authorities’. “Instead of accusing refugees of tarnishing the image of Rwanda, the authorities should investigate how 11 refugees ended up dead during a protest manned by police officers, and hold those responsible for the killings accountable,” said Sarah Jackson, Amnesty International’s Deputy Director for East Africa, the Horn and the Great Lakes. A new Amnesty International briefing Rwanda also shared to this writer titled: Investigate Killings of Refugees condemns the lack of investigation into the conduct of police officers who used lethal force on the protesting refugees at the UN Refugee Agency (UNHCR) field office in Karongi, and at the Kiziba refugee camp on 22 February. On 20 February, hundreds of Congolese refugees walked 15km from the Kiziba refugee camp to protest cuts in the assistance they had been receiving from UNHCR, demanding either to be repatriated to Democratic Republic of Congo (DRC) or relocated to another country. Despite being told by the police, local government officials and UNHCR to return to the camp, the refugees stood their ground for three days. On 22 February, police officers fired teargas and shot into the crowd resulting in eight deaths and injuries among the refugees. UNHCR reported that three more refugees died at the refugee camp on the same day when police opened fire on protesters there. Police reported that the refugees had become violent and seven officers were injured. One witness told Amnesty International that some protesters threw stones, but only to protect themselves after the police fired teargas. Statements issued by Rwandan government bodies and the National Commission for Human Rights to date show a skewed focus on investigating refugees’ participation in protests rather than the actions of the police that caused death and injuries. Twenty-one refugees were arrested immediately after the police dispersed the protest, first using teargas, then after a short time opening fire on the crowd. Two more refugees were arrested the following month. In April, the police then mounted a security operation in the refugee camp deploying a large contingent of police officers in and around Kiziba refugee camp to curb rising tensions, according to the Ministry of Disaster Management and Refugee Affairs. On 30 April, confrontations erupted between youth in the camp and the police, who again fired teargas. A child was injured and had to be hospitalized. There were further confrontations on 1 May when 14 refugees were injured, one of whom died on arrival at the local hospital. On the same day, 30 refugees were arrested while another 12 were arrested during the month of May, bringing the total number of refugees arrested to 65. Two of them were however, later released and one has since been convicted of ‘spreading false information or harmful propaganda with intent to cause a hostile international opinion against the Rwandan government, causing uprising or unrest among the population, and illegal demonstration or public meeting’. The rest are facing various charges. 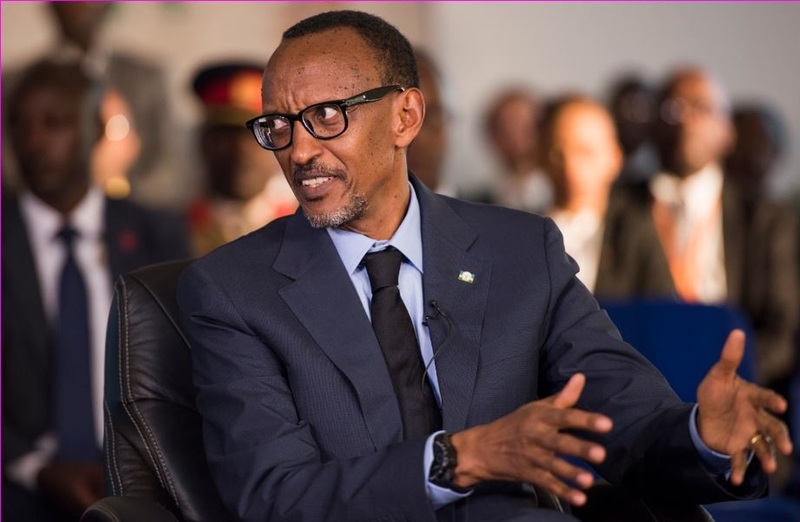 It is against international law for the Rwandan authorities to bring criminal charges against refugees for organizing and taking part in protests, as opposed to charges for taking part in acts of violence where there is substantial evidence. Everyone has a right to freedom of expression and peaceful assembly. “The Rwandan authorities have arrested and prosecuted refugees for expressing their dissatisfaction with their living conditions while policemen who shot at protestors are walking free without having had to account for their deadly actions. This is an outright travesty of justice that needs to be corrected,” said Sarah Jackson. Amnesty International in a report seen by PML Daily, urges the Rwandan authorities to instigate an independent and impartial investigation into the legality of the police’s conduct in using unnecessary and excessive force to disperse the protests. Amnesty says, the investigation must also establish whether the use of force was necessary and proportionate in accordance with Rwanda’s human rights obligations. “While the investigation is being conducted, the officials concerned should be suspended from duty and, if there is sufficient evidence, all those responsible should be brought to justice in fair trials,” reads a report by Amnesty. “That the police fired randomly into a crowd of people just after enshrouding them with teargas is completely inexcusable. The Rwandan police must be clear that the use of lethal force can only ever be used as a response to an immediate threat of death or serious injury,” added Sarah Jackson. says the Rwandan authorities should urgently review their policing guidelines on the use of force and firearms in public gatherings in line with internationally accepted standards.